Dr. Michalis Pantazopoulos even moderated a session about Digitalization & Cybersecurity during the morning agenda. 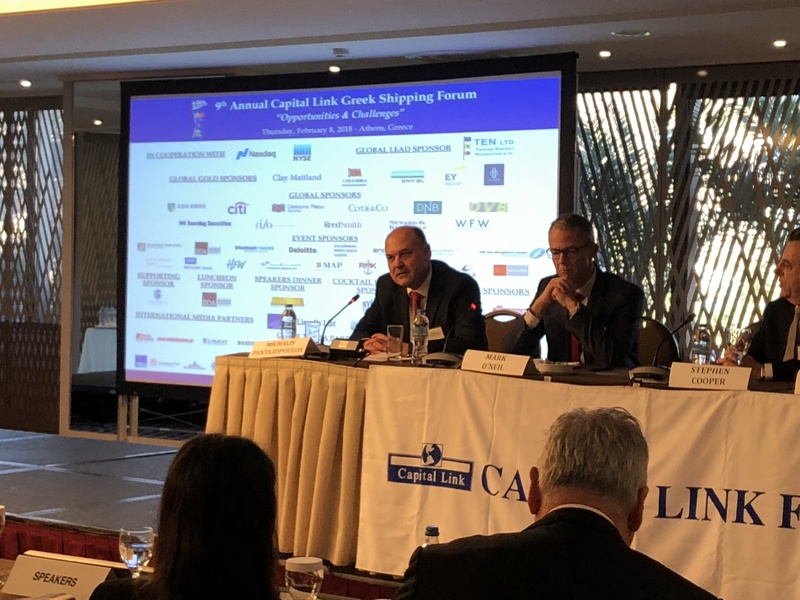 The panel informed its listeners how today’s fast-growing digitalization in the shipping industry also brings a potential increase and exposure to cybersecurity threats. The forum was rounded off with an evening cocktail reception, in which the guests were able to mingle and interact with friends of the industry.